Go to the Settings menu (gear icon) and select Preferences. On the General tab, click on Sign Out. Click on the Settings menu (gear icon), click on Quit. 3 Click on Sign In in the upper right corner. 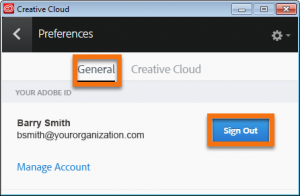 5 Type in your CUSTOMER NAME credentials, including email address, and press the tab or enter key. 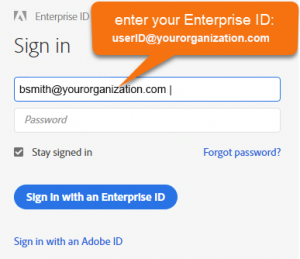 6 Login with your Enterprise email address and password, then press LOG IN. 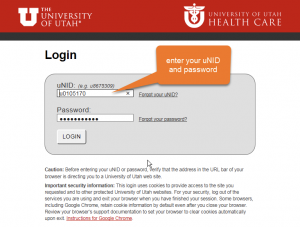 *NOTE: Replace this screen shot with the login page for your organization’s system. 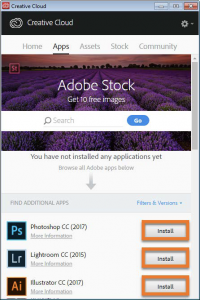 7 On the Adobe web site, click on Desktop Downloads. 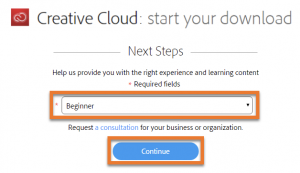 8 Click on the Download button for Creative Cloud. 9 If you are taken to a screen asking for your skill level, choose an option that best describes you and press Continue. 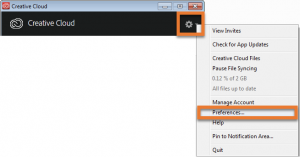 10 If prompted to save the install file, click Save File in the pop-up window. 11 Once the file is downloaded, locate and launch the install file. Wait for the installer to download the entire package and install the app. 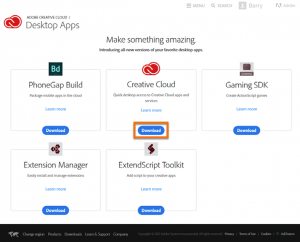 12 When installation is complete, the Creative Cloud desktop app should open automatically. 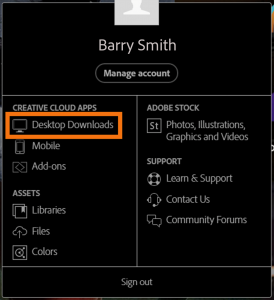 If it does not, manually open the Creative Cloud desktop app from your desktop. 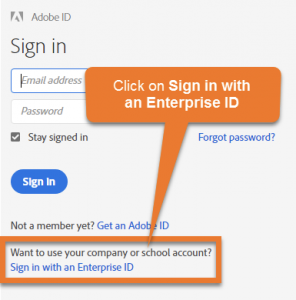 13 If prompted to login, enter your userID@doitt.Customer Name.gov address and wait for a redirection to the CUSTOMER NAME login page. 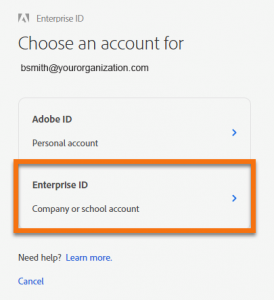 Enter your enterprise email address and password. 14 Click on the Apps tab to preview the list of products available to you. Choose which products you would like to install, and click on Install for each. If you choose more than one, the apps will install in the order that you selected them. 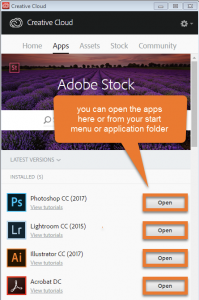 15 Once complete, each installed app will provide an Open button; click on the Open button to launch the apps from the Creative Cloud desktop app OR from the Start menu on the application folder.